Colorado's cold climate restricts the types of plants that can thrive outdoors. For example, avocado trees generally thrive in USDA hardiness zones 9 and 10, with average annual minimum temperatures ranging from 20 to 40 degrees Fahrenheit. Some areas of Colorado fall as low as zone 3, with an average annual minimum temperature of 40 degrees below zero. For this reason, residents of Colorado interested in growing avocado trees often grow them as houseplants. Grow avocado trees as houseplants in Colordao. 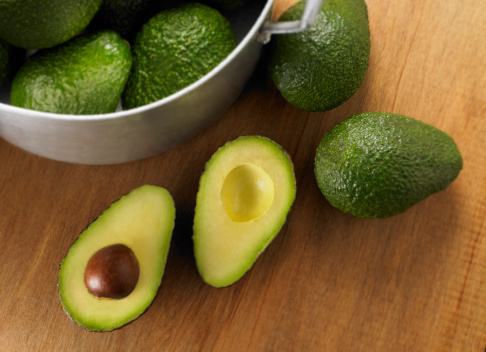 Wash the avocado seed thoroughly in warm water to remove any contaminants. Insert three to four toothpicks into the avocado, at the halfway point of the seed. Extend the toothpicks far enough from the seed to reach the edges of a small glass. Fill a small clear glass about three-fourths of the way with water. Suspend the avocado seed, flat-side down, on the rim of the glass so that the bottom 1 inch of the seed is covered with water. 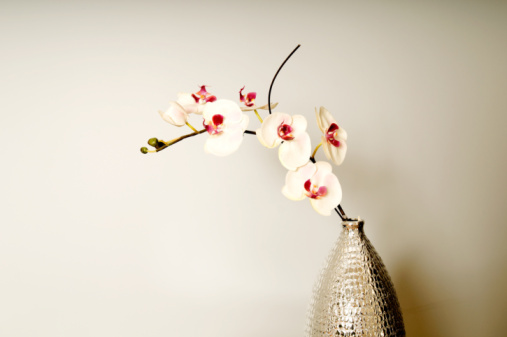 Place the glass in a warm area, such as a windowsill, that receives indirect sunlight. Add more water to the glass as necessary to keep the bottom 1 inch of the seed covered in water. The seed should form roots and a small stem within six weeks. Trim the stem when it reaches 6 inches long. Cut it back to about 3 inches to encourage new and healthy growth. Transfer the seed to a growing pot when the stem again has reached 6 inches long and the roots are growing thick. Fill a 10-½-inch planting pot with hummus soil, which is ideal for avocado roots. Insert the seed so that the roots are buried in the soil. Leave the top half of the seed exposed above the soil. Place the plant in a warm area that receives indirect sunlight for at least six hours each day. Water the soil weekly with light waterings; the soil should always be moist but never soaked. Trim the stem when it reaches 12 inches high. Cut it back by about half to encourage new shoots and branches to grow. 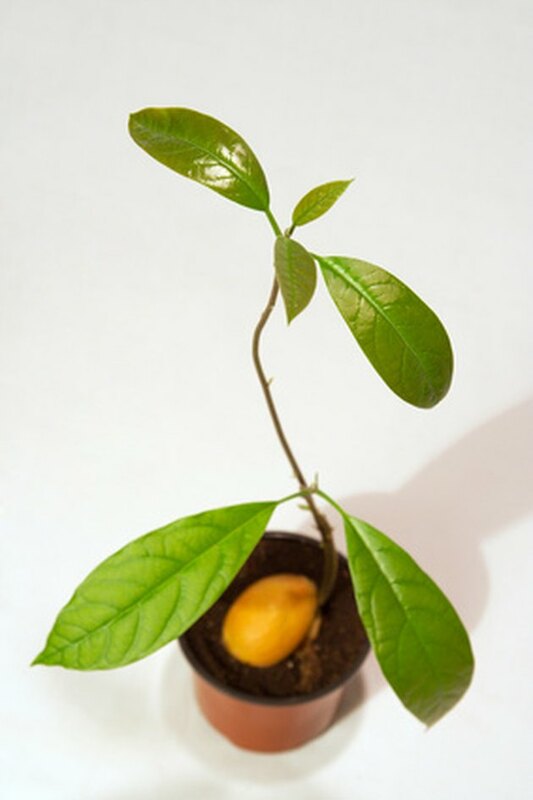 Apply houseplant fertilizer to the avocado tree every three months. Follow all specific product instructions regarding application, as the amount of fertilizer needed can vary depending on the size of your tree.